What is the best snorkelling beaches on Koh Tao, Thailand? Do you lust for swimming in tropical-crystal-clear-waters, that are home to many species of colourful fish? This is the how to guide for the best snorkelling beach on Koh Tao. There is some really beaches, so what is the best beach on Koh Tao? For example, the Sairee on Koh Tao is one of the most popular things to do in Koh Tao. But that’s not my favourite beach. There are lots of cool beaches on Koh Tao, you may of heard of the shark bay where you get to swim with sharks. Or the picturesque Tanote Bay. One of the best things to do on Koh Tao is the turtle sanctuary. But we will run through some of them in this. When is the best time to visit Koh Tao for snorkelling? I will explain all. By the end of reading this post you have all the information you need, for an amazing snorkelling trip in Koh Tao and also the best time to visit Koh tao for snorkelling. Other snorekelling beaches on Koh Tao – Shark Bay, Tanote Bay, Freedom beach and the turtle sanctuary. 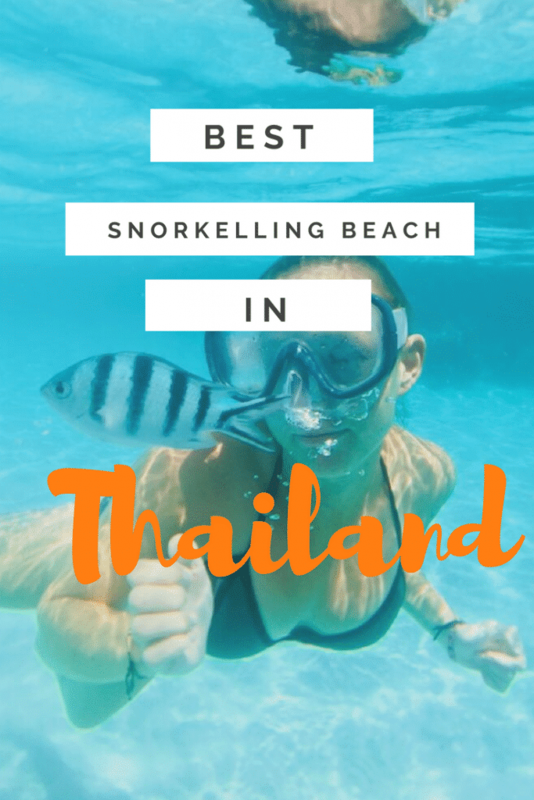 So where is the best snorkelling beach in Koh Tao, Thailand? There is plenty of top beaches on Koh Tao like Sairee beach and Mango beach. But, the number one snorkelling beach on Koh Tao is actually located on the island lying a couple of 100 metres next door. The island is called Nangyuan, a private island only accessible from Koh Tao. So what is this best beach on Koh Tao i’m talking about? The island is privately owned, exotic and a stunning top place to visit in Koh Tao. And hands down it’s home to the best snorkelling beach on Koh Tao. 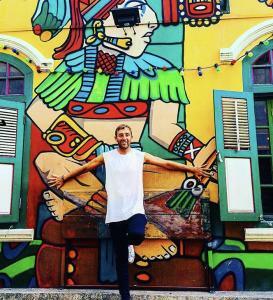 When you arrive from Sanur or Koh Samui to Koh tao. You will notice the amazing island next to Koh Tao, it’s stunning. I have never seen water as clear as what is around this unbelievable island. The Nang Yuan water is perfect for anyone looking to snorkel or swim in Koh Tao and this is why it is the best of the best beaches on Koh Tao. You can swim out for at least 80 metres and still be able to stand up, for those who are not confident swimmers. After 80 metres you will find corals with stunning fish and rockery. Although, you can see many tropical fish as soon as you step into the water. I couldn’t believe how friendly the fish are, they don’t bother at all that you are next to them. 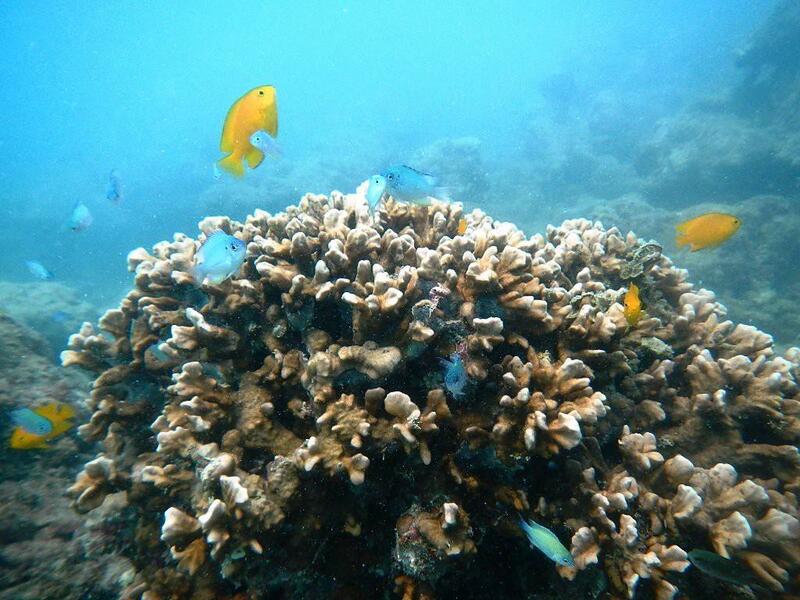 If you’re a big fan of fish, then you will love snorkelling at Koh Tao’s Nang Yuan island. There’s plenty of different species of fish for you to explore, scenery to gaze at and amazing photos to be taken. We got so many sweet photos under the water and with the fish. It’s funny the fish seem like they enjoy the photography, seems like they’re modelling for the underwater photography or something. Shark Bay on Koh Tao is one of the more popular beaches on Koh Tao. Tourists on Koh Tao visit here in the hope to get to swim with a black tip shark which are supposed to visit here at certain times of the day. However, I swam out and didn’t see a single shark. Neither did any of the other swimmers that I asked. You should know as well. The snorkelling here isn’t great. I got cut up from the coral that’s in the shallow water, there is no room for swimming. The epic Freedom Beach on Koh Tao is one of the best for peace and stunning waters. The beach itself can be a quite area, but really good for relaxing and checking out some new albums on Spotify. Koh Tao’s Tanote Bay beach can be found on the east coast of Koh Tao and surrounded by stunning hills. This beach is one of the best for being an untouched beach on Koh Tao. You should check this epic Koh Tao beach out if you fancy some good snorkelling like the other beaches previously mentioned. The Koh Toa turtle conservation is one of the best dive places in Koh Tao and one of the most popular for diving on courses. Visitors to Koh Tao can visit this amazing sanctuary and you may even get the chance to volunteer. Who wouldn’t want to volunteer with turtles? 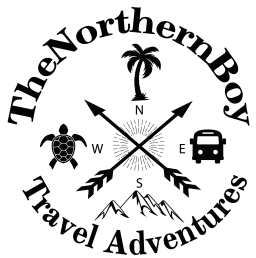 If you don’t fancy eploring the beaches on Koh Tao yourself, you can book one of the popular snokrelling tours in Koh Tao. There are roughly ten companies which do the Koh Tao snorkelling trip, they all cost the same and provide the same sort of day-trip for you. These daily trips leave at 09:30 and return at 17:00 and visit Koh Nang Yuan, Aow Muang (Mango Bay), Hin Wong Bay, Aow Leuk, and Shark Bay. If you are not an early riser , you can catch the later day trip which leaves at 11:00am. 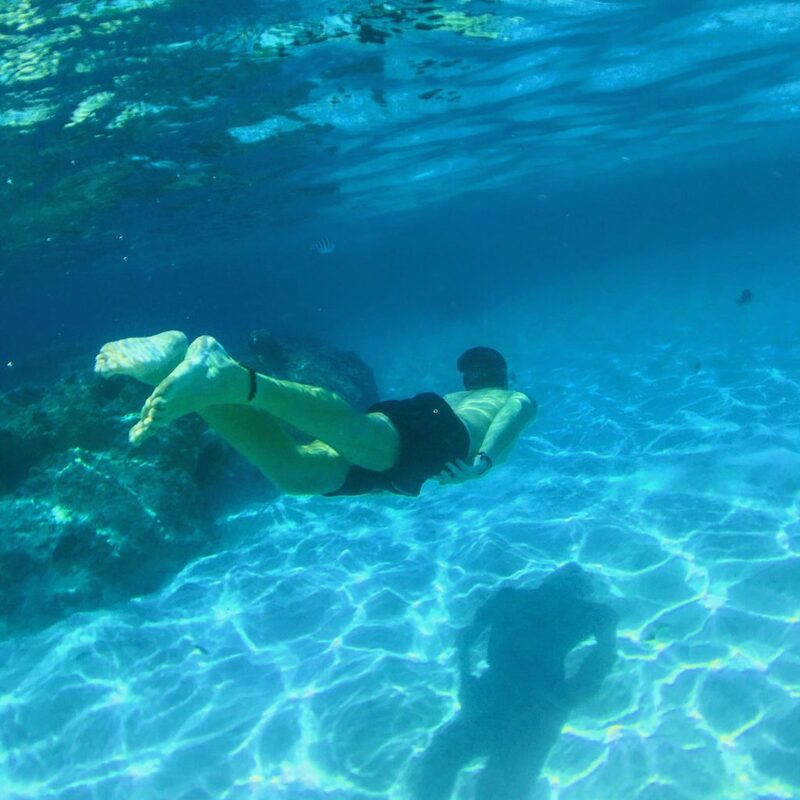 This Koh Tao snorkelling tour price includes insurance, English speaking guide, transfer services, snorkelling equipment, lunch, fresh fruit and water. You will have to pay (100 Baht) to Koh Nang Yuan for the landing fee as this is usually not included with the price. Book the Koh Tao snorkelling tour here. The island is located right next to Koh Tao, however you have to get a 20-minute taxi boat to the island. The cost of the water taxi will depend on your bartering skills or where you can get it cheapest. It is on average 900 Baht ($24) for 2/3 people. I bartered the price down to 700 Baht. I did hear someone say they got the price for 250 Baht, damn I missed that price. I live for epic beaches that give fun snorkelling adventures. Being able to spend the day sipping out of turquoise coloured water and taking pics of fish is life wrapped up. I was made with the snorkelling on both Koh Samui and Koh Tao. It was well needed after backpacking though Laos and north-mainland of Thailand without seeing a single beach! The Nangyaun beach gave me a well deserved and appreciated snorkelling experience, from the moment I stepped onto its white sand, I could tell the water was perfect for a day of snorkelling and swimming. 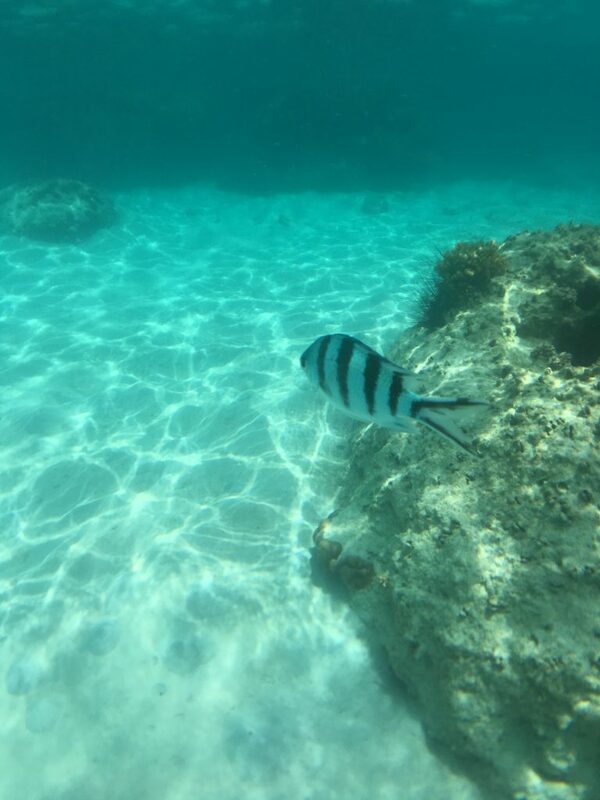 Snorkelling at leisure in clear water with sweet fish, was the highlight of my visit to Koh Tao and will be the highlight anyones visit to an island. When is the best time to visit Koh Tao for snorkelling? There is blue skies every day and it is nice, hot and sunny during this time of the year in Koh Tao. During this season rainfall is at its minimum. Air temperature can reach as high as 36 degrees Celsius in high humidity and rarely drops below 28 degrees Celsius. The water temperature can reach 30 degrees or even more. Koh Tao’s hottest time is during March to May. 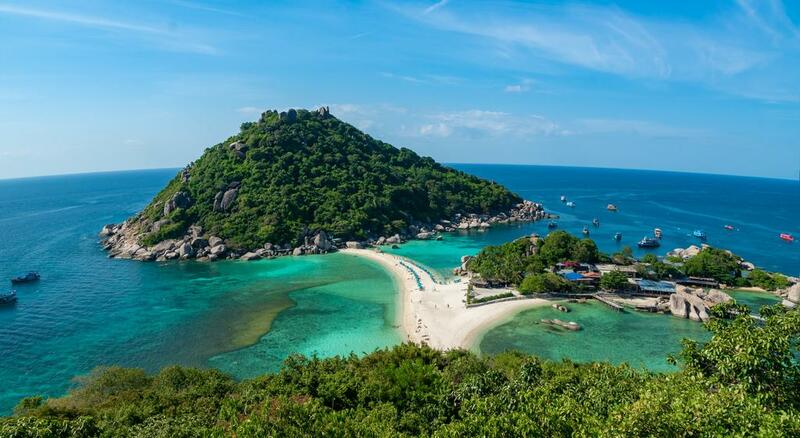 If you love scorching hot, then this is the best time to visit Koh Tao. In March and April is generally one of the best times to visit Koh Tao as it is one of the Whale Shark seasons. After the hot season some much needed wind comes in to cool the island down. This is Koh Tao’s windy season. The temperature is still hot with a high of around 34 degrees. The ocean is around 29 degrees and cools down toward the end of windy season. Is this the worst time to visit Koh Tao for snorkelling? Yes, this is Koh Tao’s rainy season. Although, it is rare that rainfall smashes it down for an entire day. You may want to expect thunderstorms in the late afternoon and this comes with a cooler vibe to the atmosphere. There is plenty of sunshine and temperatures are a little more enjoyable. During monsoon season which is usually around November you can expect the Koh Tao weather to change a little.The temperature can drop to around 28 degrees Celsius and there is often two hours of heavy rain and the rest of the day can be overcast. During October and November there can be several days of continuous rainfall.It is not all bad during November as this is also a great time to dive with Whale Sharks and the visibility is still up to about 12 meters. Many dive centres shut for several weeks at a time during these months. The rest of rainy season has light rain here and there. Temperature in Koh Tao ranges from 25-30 degrees and the water temperature can drop as low as 26 degrees. During heavy rain visibility may on occasion be less clear than during our hotter seasons. You may experience seasonal tides on Koh Tao and during wet season we see higher levels, which can mean less access to sandy beaches and often bigger waves. So, this is is not the best time to visit Koh Tao for snorkelling. Accommodation in Koh Tao is good, so don’t worry about not being able to find the best accommodation in Koh Tao to suit you. Also, there are plenty of places to stay in Koh Tao scattered all over the island, therefore there is always somewhere near to were you want to stay. For example, you might want to stay near the best beaches on Koh Tao. There are plenty of hotels in Koh Tao that are suitable for all budgets and there is even some Koh Tao hotelson the beach that are cheap enough for a backpackers budget. However, keep in mind that the cost of the hotels in Koh Tao will go up considerably when the season starts to get busy. I have the perfect budget accommodation on Koh Tao – Happy Bungalows are one of the cheapest places to stay on Koh Tao and offer a lot of value. They’re in perfect location of being close to the centre, close to all the Koh Tao diving schools, near the best beaches and near to all the transportation routes. There’s also shops and restaurants near by. A private room here costs just 500 BHT ($16) a night. This includes fan, private bathroom, free tea/coffee and very friendly service. The Nang Yuan Entrance costs 100 Baht ($3). This is because it’s a private Thailand island. The Nang Yuan island opens 10am till 5pm. 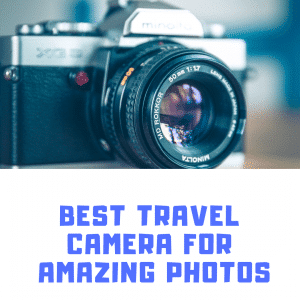 Get there for 10am for the best photos. So for your question which is the best snorkelling beach on Koh Tao? Nang Yuan island is the best thing to do in Koh Tao. You should also check out the other best beaches on Koh tao such as Mango beach and Sairee beach. You need to visit the Nang Yuan island, even if you’re not snorkelling it’s still an unreal island for just chilling out and taking life easy. Nevertheless, for an amazing day of snorkelling you are going to need a few bits. These will ensure a mega time in the sea and protect you from the scorching Thai sun!